Finke’s place on the 2019 BFGoodrich CAMS Australian Off Road Championship calendar has been confirmed as organisers revealed that the 2018 event saw record crowds. 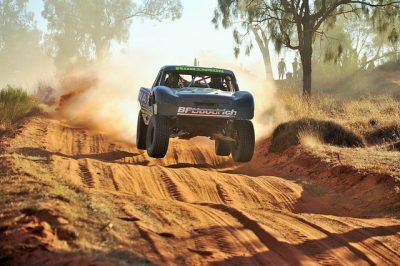 The Tatts Finke Desert Race will be run on its traditional Queen’s Birthday long weekend date (June 7-10), as Round 2 of the AORC. Finke Desert Race Club President Antony Yoffa says that this year’s edition was one of the biggest yet, and suggested that the number of car entries may hit the 150-car cap. “This year we had the largest number of spectators at the start line over four days we have ever had – over 7000 on Friday night and just over 6000 at the prologue on Saturday which is just unheard of. They are pretty phenomenal numbers,” said Yoffa. “In terms of competitors, we had 130 cars on the start line plus the biggest number of bikes we’ve ever had. Yoffa also revealed that a change to the format could be in the works for future events. At present, the event proceeds with Friday for scrutineering, Saturday the prologue around Alice Springs, Sunday the outbound journey to Finke, and Monday the return. 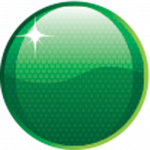 “We are also working through feedback from the competitor survey,” he noted. Expanding streaming coverage is also on organisers’ to-do list, although Yoffa predicted that there would not be major changes in the short term due to costs. “We want to replicate having a crew and satellite link at the Finke end to send vision back,” he explained. “We got a lot of people that were pleased to see family crossing the finish line from their lounge room at home and getting a feel for the carnival down there. The St George 399 was recently confirmed as the 2019 BFGoodrich CAMS AORC opener, but on an earlier date to allow competitors more time to prepare for Finke. The remainder of the calendar, which wrapped up with a third round in the Rainbow Desert in 2018, is yet to be announced.